KAMĪYISTOWESIT (Beardy, literally little moustache, known in French as Barbu), chief of the Willow band of the Plains Cree; b. c. 1828 probably near Duck Lake (Sask. ); d. 16 April 1889 at the Beardy Reserve (Sask.). The members of the Willow band were related to, or allied with, the mixed-blood descendants of George Sutherland*, who had been an employee of the Hudson’s Bay Company at the end of the 18th century. Little is known of Beardy’s early life except that he was said to possess spiritual powers or “medicine.” He became a chief about 1870 and a few years later was one of the Plains Cree chiefs who welcomed the news that the government of Canada intended to make treaty with the Indians of the Saskatchewan River district. However, he refused to attend the major council on 23 Aug. 1876 at which Treaty no.6 was negotiated by Alexander Morris because the treaty commissioners would not respect a vision Beardy had had as to where this council should take place. Finally, to obtain Beardy’s adhesion, a special meeting was held on 28 August with his people near Duck Lake [see Kāpeyakwāskonam]. On learning the terms of the treaty, Beardy expressed his dissatisfaction with what the government offered the Cree. He thought the sections relating to assistance were inadequate in view of the crisis caused by the depletion of the buffalo herds. In addition, he wanted a provision for the management of the remaining buffalo. Although his recommendations were not accepted, Beardy saw no alternative for his people and signed. As stipulated in the terms of the treaty Beardy selected as his reserve a site surrounding Duck Lake. When the agricultural equipment and animals promised in the treaty failed to arrive Beardy protested to the lieutenant governor of the North-West Territories, David Laird*, in September 1877. He also continued his efforts to modify the treaty so that his band would receive sufficient assistance to survive the economic crisis Beardy foresaw. 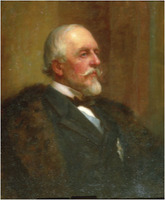 Receiving no satisfaction from local officials, Beardy wrote to the governor general of Canada, Lord Dufferin [Blackwood*], in January 1878. Beardy was a source of anxiety to government officials. 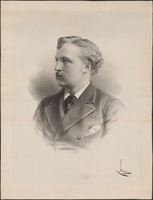 In 1878 he argued that he was entitled to additional presents and that his annuities and treaty goods should be brought to his reserve. When officials finally did go to see him and failed to bring the presents and food he expected, he refused to accept the annuities and provisions they did bring. By December Beardy’s people were destitute and he announced his intention of taking what his people needed from the local merchants. A unit of the North-West Mounted Police was sent to Duck Lake and Beardy’s people were given their treaty money to purchase the much needed goods. The crisis passed, but Beardy protested further when he did not receive all he had been promised by the treaty commissioners. Beardy’s belief that the government was not honouring Treaty no.6 was further reinforced when the band’s reserve was surveyed. Rather than allotting the band all the lands they wanted, the government excluded those parcels claimed by the local Métis, and threatened Beardy with loss of treaty entitlement if he did not accept the exclusions. Land grievances aside, hunger continued to be the band’s principal problem in the early 1880s, and Beardy is alleged to have killed some treaty cattle to feed his people despite the fact they were intended for stock raising. When Governor General Lorne [Campbell*] visited the area in 1881 Beardy spoke to him about the need for more assistance and for the full and immediate implementation of the treaty. This appeal had no effect; Beardy and other Cree chiefs including Poundmaker [Pītikwahanapiwīyin], Big Bear [Mistahimaskwa], Kāpeyakwāskonam (One Arrow), and Little Pine [Minahikosis] then came together at a meeting on his reserve in August 1884. The treaty was discussed and plans were made for future action if demands for the redress of grievances continued to be ignored. Beardy, Little Pine, and Big Bear began organizing a meeting of all Plains Cree chiefs which was to be held in 1885. When rebellion broke out in the northwest in March 1885, however, Beardy remained neutral, though promises of food and aid did attract a small number of his band to join Louis Riel. Beardy met Major-General Frederick Dobson Middleton* at Batoche (Sask.) and explained that he could not restrain his young men. After the rebellion, because Beardy and other members of his band had left their reservation despite a proclamation forbidding such movements, the entire band was suspended from treaty. Moreover, Beardy was no longer officially recognized by government officials as the spokesman for his people, although his band continued to regard him as their leader until his death in April 1889. Beardy, at times dismissed as a gadfly and nuisance, was a man of some foresight regarding the fate of his people and their culture. He recognized the inadequacy of the treaty he signed, and from the beginning he sought to have it modified to provide the aid the Cree needed in a period of crisis. Finding the government indifferent, he joined other Plains Cree leaders in a movement to pressure the government, but before they could achieve their goal they were overtaken by the events precipitated by the Métis. PAC, RG 10, B3, 3185, file 41783/1; 3576, file 309; 3577, file 429; 3582, file 949; 3584, file 1130; 3636, file 6694/1; 3656, file 9030; 3697, file 15423; 3768, file 33642; 3777, file 37642; 3785, file 41783; 3793, files 45948, 46008; 3809, file 53828/1; 3820, file 57325; 3831, file 62987; 3874, file 10508; 7768, file 27109/2. PAM, HBCA, B.27/a/1–17. Morris, Treaties of Canada with the Indians. C. P. [Mulvany], The history of the North-West rebellion of 1885 . . . (Toronto, 1885; repr. 1971). 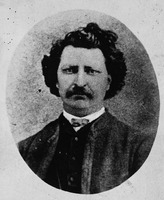 Stanley, Birth of western Canada; Louis Riel. D. G. Mandelbaum, “The Plains Cree,” American Museum of Natural Hist., Anthropological Papers (New York), 37 (1941): 155–316. John L. Tobias, “KAMĪYISTOWESIT,” in Dictionary of Canadian Biography, vol. 11, University of Toronto/Université Laval, 2003–, accessed April 19, 2019, http://www.biographi.ca/en/bio/kamiyistowesit_11E.html.